Although summer is coming close to an end ( I can’t believe it is almost August! ), wedding season is still going strong. Wedding season (at least for me) would extend all the way to November. I’m sure many of you came across wedding guest dress(es) earlier in the summer, but I want to showcase a dress that is appropriate for the Fall as well. When VIPme reached out to me to do a review, I definitely wanted an outfit that I can make good use out of it. Since I knew I will eventually need a dress to attend a wedding, I was on a hunt for that. When I saw this dress, I immediately knew it was a winner. I fell in love with the style. I love the flowy chiffon-like fabric. The movement is gorgeous. 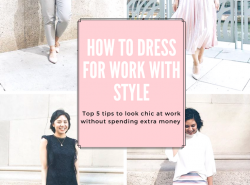 When hunting for a wedding guest dress, I usually look for dresses that have a lot of flow and movement because it makes it so easy on the dance floor. Don’t get me wrong, I love a good fitted dress but I feel so restricted when I dance. With this dress, I know I can bust a move to my heart’s content. I really like the subtle cold shoulder style. With the addition of the floral and watercolor print, it creates a very delicate & feminine feel to the dress. Plus the vibrant colors makes it appropriate for late summer and fall weddings. Did you notice someone photobombed my photo? His name is Jackson and he is the cutest! During his walk, he stopped when he saw me and walked towards me. The owner kept apologizing, but since I’m a HUGE dog person, I didn’t mind at all. Jackson didn’t want to leave. He hung around for at least 5 minutes haha! If you are like me when traveling to attend a wedding, I don’t know how to store & pack my jewelry, especially my earrings since they’re so tiny! I tried mini baggies, stuffing them in another compartment, but I somehow end up forgetting where they are in my weekend bag/suitcase or lose them! Luckily, VIPme has a portable folding jewelry storage. 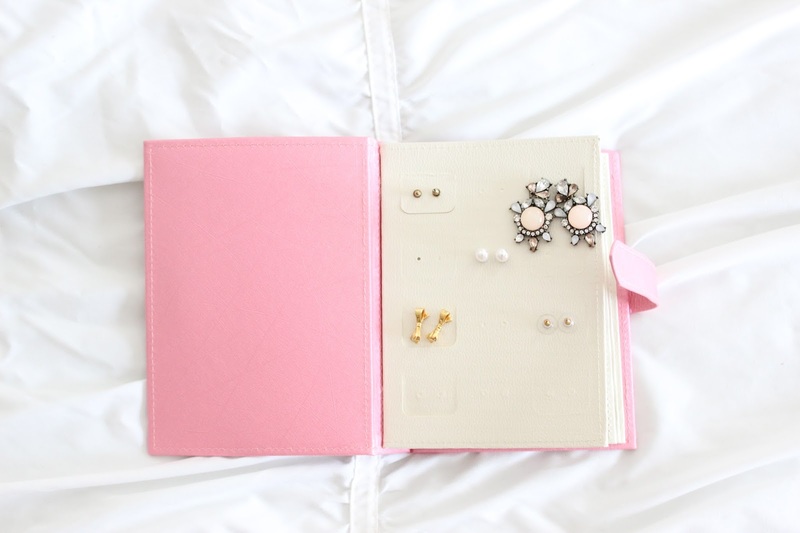 It looks like a planner, but when you open it up it has little compartments to attach your earrings. The best part is that it doesn’t take up much space! So convenient! 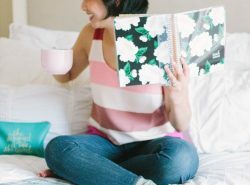 Since VIPme is a female fashion website, they want to be a platform that empowers women to value their inner self. Check out this video about cherishing oneself. Thank you VIPme for sponsoring this post. Love the dress! But that foldable traveling pouch/storage for jewelry is a brilliant idea! Thanks Abby! I know the storage is so awesome! Rach you are stunning in this dress!! Love the color and fit on you. That jewelry holder is too cool. Aw thanks so much Amy Ann! You are a vision in this dress! The colors are striking and I love the cut-out sleeve detail. You look gorgeous, Rach! 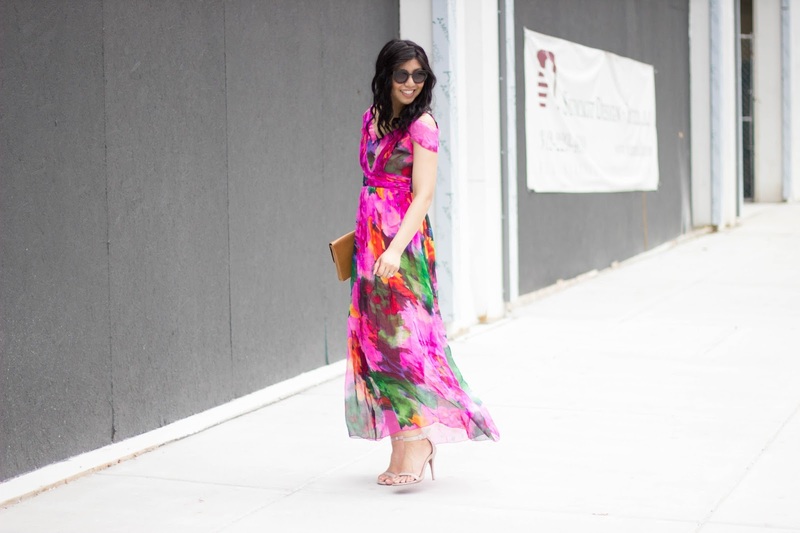 This dress is perfect for a wedding guest! Wonderful dress!! It looks soooo amazing! This dress is gorgeous, Rach! You are such a stunner and dog is a cutie too!!! Love! Thank you so much Vanessa! Haha the dog was a surprised feature! 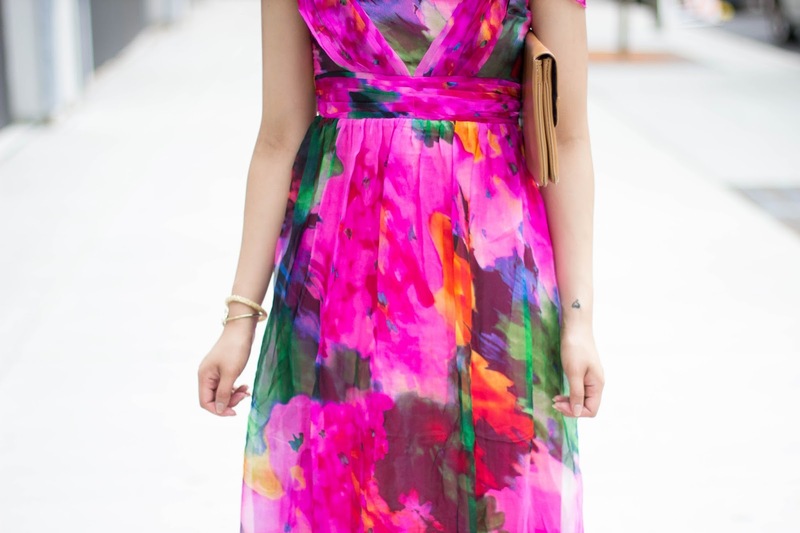 This dress looks like a water color painting! So beautiful, Rach! Aw thanks so much Kiki! I do love the watercolor print! I love how this dress flows and how it's more sheer at the bottom. The shoulder detail is great, too! Love the dress, and that jewelry holder is amazing! Thanks Amanda! I know the holder is so handy! This dress is beautiful on you – especially love the color! And how cute is that pup? Thank you Katie! I know, he was so sweet! I wanted to take him home haha. Beautiful dress! You look so great. That folding jewelry pouch is genius. Thank you Miki! It really is. It makes organizing so easy! Thank you so much! Right, I think every girl needs the holder haha. Those colors are so stunning all together! This dress looks gorgeous on you and I can definitely relate to wedding season… I have them up until December so I'm always on the look out! And I love that pouch, it's such a great way to travel with jewelry. Thank you so much Bryn! Yea it is crazy, people are going beyond the summer season. Last year, I had a wedding until January! This dress is so gorgeous on you! I love the bright colors! And how amazing is that travel pouch?! Freaking brilliant! Thank you so much Heidi! I know it is so brilliant! Rach your dressing gives me new hope and concepts. thanks love. That dress is stunning and seems perfect for a wedding! I also love the idea of that travel pouch. It's practical and cute. What could be better than that? Thanks so much Jackie! The travel pouch is the best! So amazing dress, this color is so lovely! Seriously where is time going?! I totally agree! This dress is absolutely stunning! The color is just perfect on you!!!!!! I looooove this bright watercolor print- it's so vibrant! You're rocking this lady! Such beautiful dress. It look so colourful and you look absolutely stunning in this dress. Gorgeous dress, the color is so stunning! First of all the dress by VIPME is stunning on you! I saw your Instagram post and it really just stood out to me! 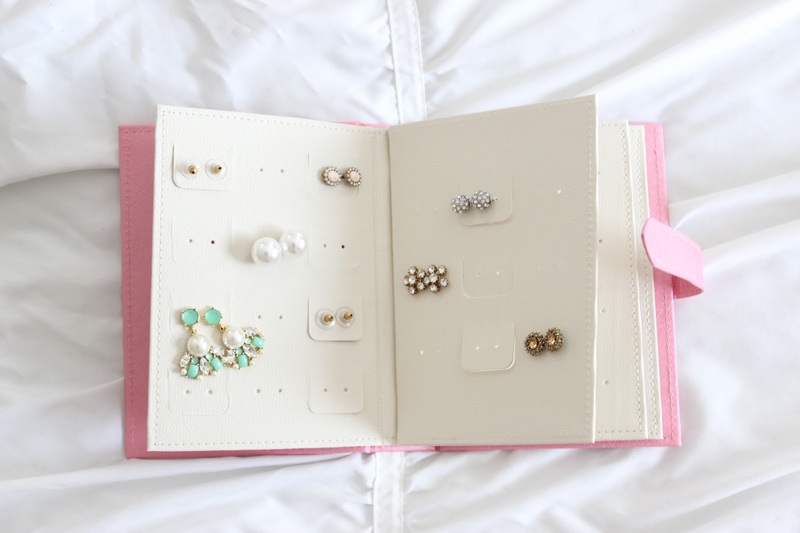 Secondly, the travel book for your earrings/accessories is genius! I Totally could see that coming in handy for me! Lastly, how cute is that golden retriever that photobombed you lol! He fit in well! Thank you so much Rina! Haha the golden retriever was such a fun and cute bonus! That dress looks like it was made for you, you look stunning! We love the floral print, it looks sophisticated and chic at the same time! Stunning! I love it so much! Perfect print for such a great event! Thanks Mica! Isn't he the cutest! Great dress! Love the prints on it! Your dress has an amazing pattern!